You probably have heard of snow cones, but have you heard about bamboo cones and stands? If not, pay close attention because every caterer and restaurant owner can benefit from using these products in their food establishments. Matter of fact, anyone who likes to cook or bake will want to have at least a few bamboo cones and stands in their arsenal of kitchen tools. Any snack would look fantastic in this medium sized bamboo cone. 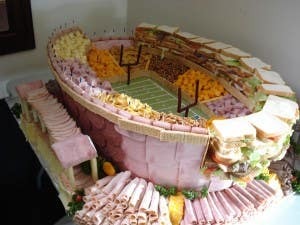 Superbowl Sunday is fast approaching. The day for football, friends, family and parties is almost here. So, get ready now with these fun Superbowl food facts that you can share with the guests at your Superbowl bash. Take advantage of these unique wood forks. 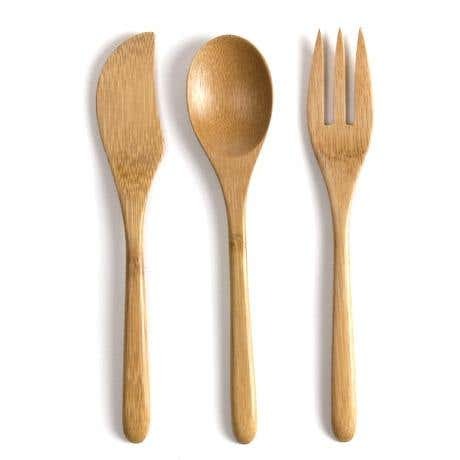 Years before the first piece of silverware was invented and used, people were using wood cutlery. In this day and age, wood cutlery has come a long way from that first day when a person picked up a piece of wood and turned it into a spoon. The style, design and durability of wooden utensils is worth discussing, especially with all of you who love cooking, eating and entertaining. Tasty Amuse Bouche Recipe And The Best Way To Serve It. Do you own a catering company? Are you looking for new ways to impress your clients? If so, you should try making this tasty amuse bouche recipe at your next catering event and serving it on a gorgeous plastic appetizer or amuse bouche spoon. It is bound to impress everyone who attends the celebration. An amuse bouche is a bite sized or very small hors d’oeuvre, it is commonly served on tasting menus, on buffets or during a special function. Look at the elegance of this wedding plate. If you want to spend a ton of money, want to get stressed over breaking tableware and would love to spend hours cleaning up after your wedding reception, then you should really choose china as the tableware for your wedding day celebration. However, if you prefer not to do these things, then your best bet is to use disposable wedding plates. Get bamboo cutlery today, there are many pros of using this type of flatware. Bamboo cutlery can be used in place of other types of disposable cutlery. There are several reasons to use bamboo cutlery. 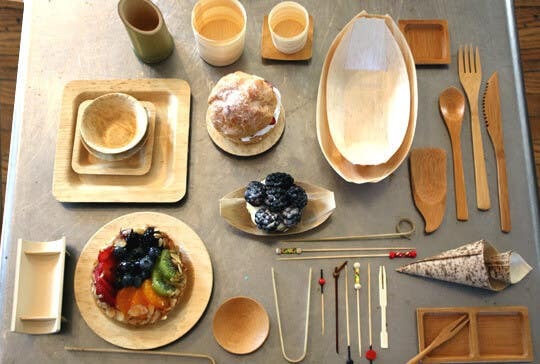 One of the most important benefits of using bamboo tableware and flatware is that bamboo is sustainable. When bamboo is harvested it quickly grows back at the amazing rate of about 2 feet per day.